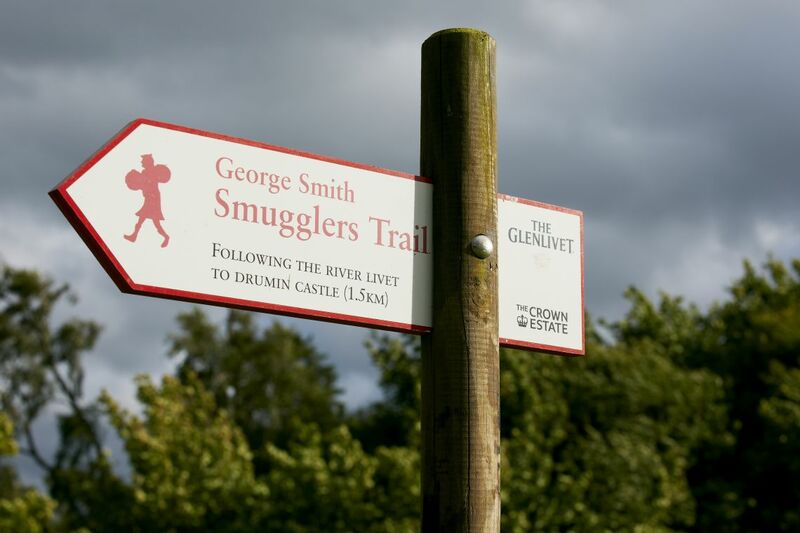 From the distillery car park, head past the duck pond and follow the road past Minmore House, Smiths former home. Turn left through a small gate and follow the path between fields and into a wood. Follow the path through the wood before emerging at a junction. Turn right here and the route now follows the Drumin Circular path just before point 4 (see page 34). Complete the circuit and return to the distillery the same way.